As a gift for my birthday, along other gifts, I received this wonderful weekend trip to Porto (Portugal). The beauty of the city is astonishing, so I took about 500 photos in just 2 days. Of course, it would be impossible to post all the images here, but I’ll try to offer you the most representative ones. The first day was an unusual mix of sun and shower rain, hot and freezing cold weather. Staying only 2 full days, we decided that the best way to see the city is to go on a sightseeing bus. For only 22 euros we had the yellow buses – 2 routes, “historical” and “castles” (110mins each) + one boat trip on the river Douro + free entrance to a Porto wine cellar. The second day we had a better weather so we took the boat (the six bridges river cruise) and we had a wonderful river side walk. Now, enjoy the photos and visit Porto if you have the opportunity. It looks much better in reality. For this trip I had a very androgynous look, not totally masculine or feminine. In the last year I tended to become more and more feminine, which is great, but the real me is androgynous. I hope you’ll like it. Como un regalo para mi cumpleaños, a lo largo de otros regalos, recibí este viaje maravilloso por un fin de semana en Oporto (Portugal). La belleza de la ciudad es impresionante, así que saqué cerca de 500 fotos en tan sólo 2 días. Por supuesto, sería imposible publicar todas las imágenes aquí, pero os de ofreceré las más representativas. El primer día tuve una inusual mezcla de sol y chubascos frios y el clima caliente – frío. 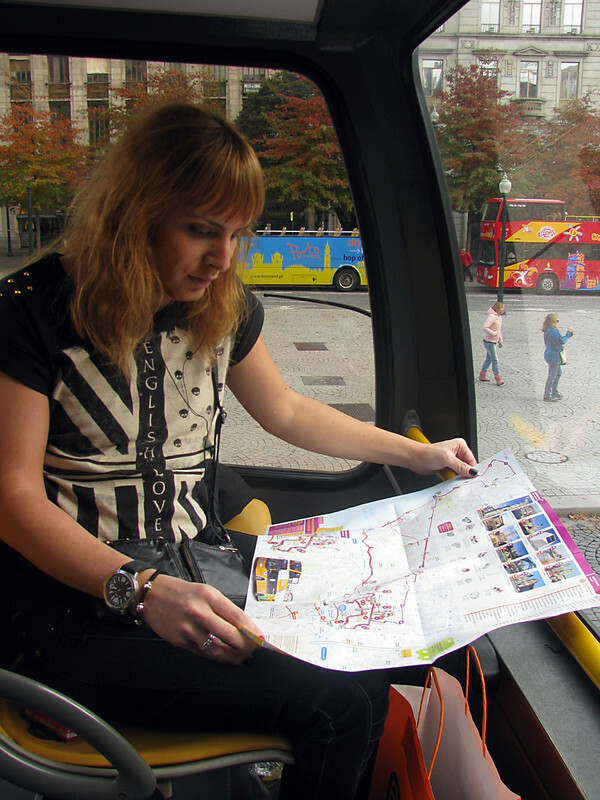 Quedandonos sólo 2 días completos, hemos decidido que la mejor manera de ver la ciudad es ir en un autobús turistico. 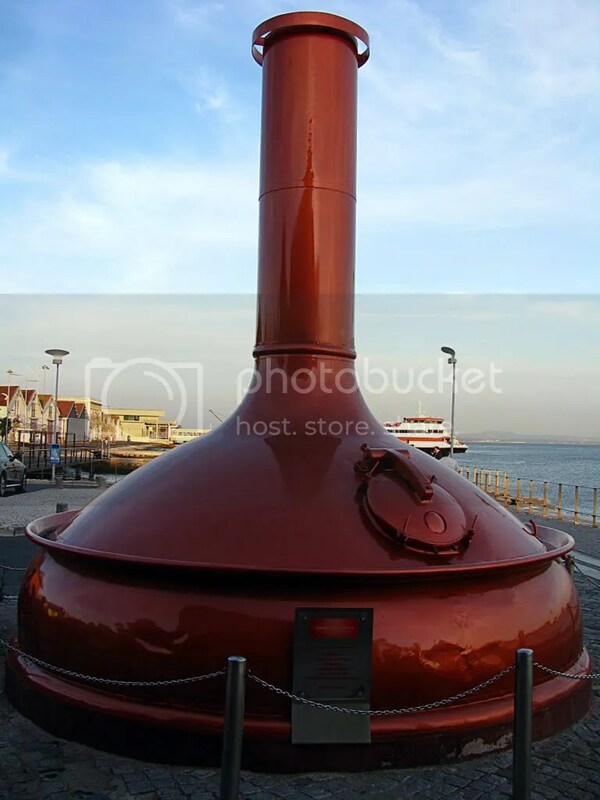 Por sólo 22 euros pagados, tuvimos los buses amarillos – 2 rutas, “históricos” y “castillos” (110mins cada uno) + un paseo en barco por el río Duero + entrada gratuita a una bodega de vino de Oporto. El segundo día tuvimos un mejor clima, así que cogimos el barco (crucero de los seis puentes) y tuvimos un maravilloso paseo por el lado del río. 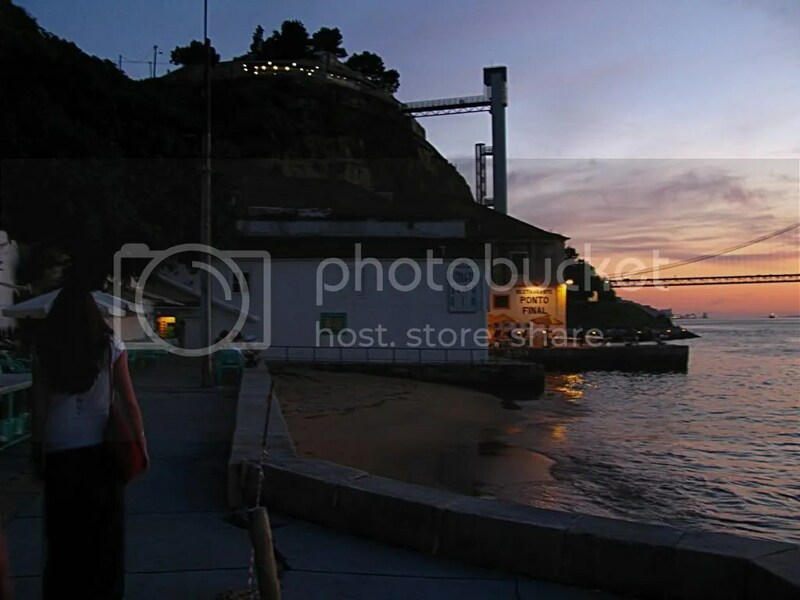 ¡Ojalá!, disfruta de las fotos y visita Porto, si tienes la oportunidad. Se ve mucho mejor en la realidad. Para este viaje he cojido un aspecto muy andrógino, no totalmente masculino o femenino. En el último año usé una imagen más femenina, lo que esta bien, nada que reprochar, pero el verdadero yo es andrógina. Espero que os guste. No, don’t worry, I’m not closing my blog, Ponto Final is only a wonderful restaurant in Lisbon (in fact, it is situated on the other side of the Tajo river, and that side is not Lisbon anymore), right at the legs of the famous Jesus statue, on the shore of the river. You have to use the ferry to go there, but it does worth the effort. 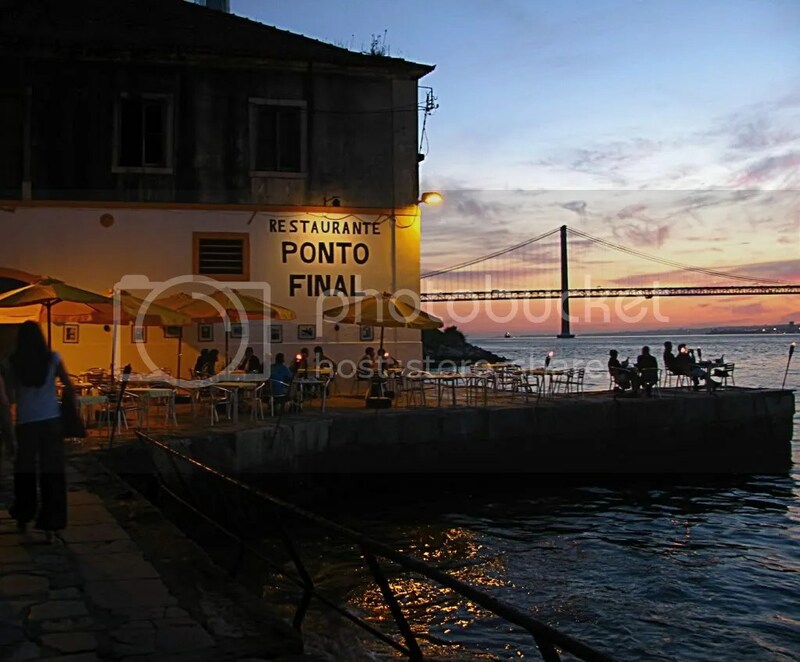 The name of the restaurant, Ponto Final, meaning “the final point”, was accorded with the fact that it is the last building on the shore, after a long cordon of abandoned warehouses. The area has a very pitoresque atmosphere, emptied of tourists, only with some fishermen trying their luck on the river’s waters. Regarding the restaurant, you can have a romantic dinner right on the river (there are some old harbor’s lines of concrete forward the river, so you’re basically surrounded by water from 3 sides. The food is fine (here I also discovered Licor Beirão, a delicious Portuguese beverage made out of herbs), the serving is great and if you’re cold they will bring some blankets to cover your legs or entire body. Very useful! Now, please enjoy the photos. The sunset is the best moment to take impressive photos, when the balance between light and dark is perfectly equilibrated. The problem is that this moment doesn’t take too long and the dark win the fight. Lisbon is also known in the world of professional photographers as a special place, with a specific balance between colors of the day, but I discovered that the sunset and the river (Tagus) create a special atmosphere in the pictures I took. A little infos about the river: Tejo (in portuguese), or Tajo (in spanish) is the longest river of the Iberian peninsula (more than 1,000 kilometers) and it’s the most important source of drinking water in Madrid (which is, by the way, very tasty and healthy); it passes through Aranjuez, Toledo, Alcántara and, of course, Lisbon. If you read my post about Toledo, you remember this river’s name. 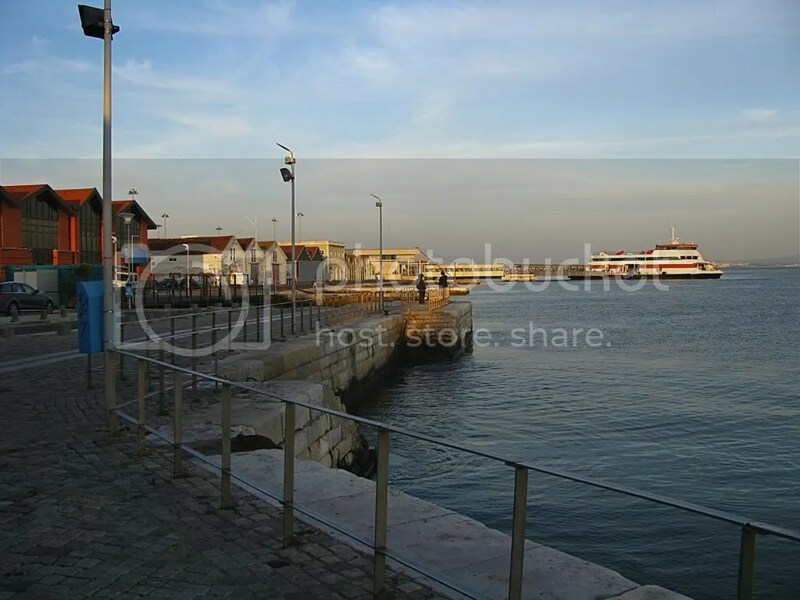 The first pictures are from the Lisbon side, then some others from the ferry we took to go on the other side, and the last ones are from the old (mostly) abandoned pier of the opposite side. As the developed is the Lisbon side of the river, the other side is almost untouched by the modern technologies and it’s used only for the fishermen that contribute also to the pitoresque atmosphere of the old harbor. Ok, let’s see the pictures. Let me know if you enjoy them.